Kentwood is a city in Kent County with a population of 48,707 reported by the census of 2010. It ranks as the 25th most populated city in Michigan. One can reach any destination in the city of Grand Rapids from Kentwood within fifteen minutes due to the exceptional availability to major highways which is a plus for the high number of individuals who are employed in the Grand Rapids areas. 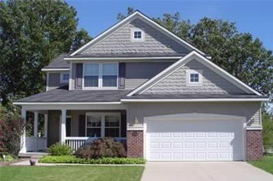 The community offers residential areas that consist of the largest choices of housing style, size, settings or price of any other while boosting the lowest City tax rate in Michigan for its size. One of the most interesting statistics about Kentwood is its residents. The families seem to continue down the same paths. Quite often teachers in the various schools would have taught the parents of the children now seating in the classroom and in some cases even the grandchildren. They tend to find jobs in the same areas, attend the same churches and even settle into the same neighborhoods as their parents and often grandparents. Kentwood High School has earned the Blue Ribbon School status, a program initiated by the U.S. government recognizing schools where the achievement gap has been narrowed. A district that is in a constant state of evolution. It has the most technical advances along with all the added perks. The school has private security officers who patrol the halls where lunches are staggered to avoid overcrowding. Some of the curriculum highlights of The High School are 16 Advanced Placement courses, the debating team is in the top 10 of the country and the school has one of the best choirs in Michigan. Kentwood High School is the only Michigan public school to house its own ice arena complete with all the perks from warming stands to locker rooms. Its’ Soccer Sportsplex is an artificial turfed field.